Status: Operational 1963. First Launch: 1963-03-18. Last Launch: 1963-03-18. Number: 1 . SSF American military signals intelligence satellite. ELINT satellite built by Lockheed for USAF, USA. Launched 1963 - 1964. Used P-11 bus. P-226 1 ELINT satellite built by Lockheed for USAF, USA. Launched 1975. Used mod. P-11 bus. 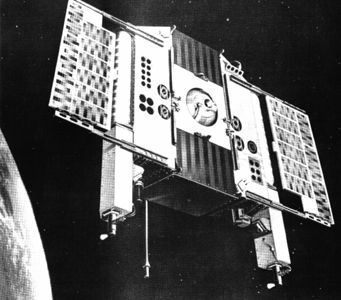 Pearl Ruby Technology satellite operated by USAF, USA. Launched 1986. Used mod. P-11 bus. Family: Technology, Technology satellite. Country: USA. Launch Vehicles: Thor, Delta, Thor SLV-2A Agena D. Launch Sites: Vandenberg, Vandenberg SLC1W. Bibliography: 279. 1963 March 18 - . 21:13 GMT - . Launch Site: Vandenberg. Launch Complex: Vandenberg SLC1W. LV Family: Thor. Launch Vehicle: Thor SLV-2A Agena D. FAILURE: Failure. P-11 No. 1 - . Payload: P-11 No. 1. Mass: 80 kg (176 lb). Nation: USA. Agency: USAF. Class: Surveillance. Type: SIGINT. Spacecraft Bus: P 11. Spacecraft: SSF. Decay Date: 1963-03-18 . Ferret subsatellite aboard first launch of KH-6. Mission failed..
P-11 - . Payload: P-11. Nation: USA. Agency: USAF. Spacecraft: P 11. Hitch Hiker 1 - . Payload: P-11 No. 2. Mass: 80 kg (176 lb). Nation: USA. Agency: USAF. Class: Surveillance. Type: SIGINT. Spacecraft Bus: P 11. Spacecraft: SSF. USAF Sat Cat: 614 . COSPAR: 1963-025B. Apogee: 2,506 km (1,557 mi). Perigee: 323 km (200 mi). Inclination: 82.10 deg. Period: 114.10 min. Radiation data. First successful flight of P-11 bus, mainly used for radar signals intelligence gathering..
Hitch Hiker 2 - . Payload: P-11 s/n A3. Mass: 80 kg (176 lb). Nation: USA. Agency: NRO, USAF. Class: Surveillance. Type: SIGINT. Spacecraft Bus: P 11. Spacecraft: SSF. Decay Date: 1965-05-23 . USAF Sat Cat: 682 . COSPAR: 1963-042B. Apogee: 581 km (361 mi). Perigee: 288 km (178 mi). Inclination: 90.00 deg. Period: 93.30 min. Radar monitoring..
Hitch Hiker 3 - . Payload: P-11 s/n A4. Mass: 80 kg (176 lb). Nation: USA. Agency: NRO, USAF. Class: Surveillance. Type: SIGINT. Spacecraft Bus: P 11. Spacecraft: SSF. Decay Date: 1964-11-07 . USAF Sat Cat: 719 . COSPAR: 1963-055B. Apogee: 394 km (244 mi). Perigee: 316 km (196 mi). Inclination: 64.50 deg. Period: 91.70 min. Radar monitoring..
1964 August 14 - . 22:00 GMT - . Launch Site: Vandenberg. Launch Complex: Vandenberg SLC4E. LV Family: Atlas. Launch Vehicle: Atlas SLV-3 Agena D.
OPS 3316 - . Payload: P-11 s/n 4202. Mass: 79 kg (174 lb). Nation: USA. Agency: USAF. Class: Surveillance. Type: SIGINT. Spacecraft Bus: P 11. Spacecraft: SSF. Decay Date: 1979-03-08 . USAF Sat Cat: 851 . COSPAR: 1964-045B. Apogee: 3,751 km (2,330 mi). Perigee: 272 km (169 mi). Inclination: 95.70 deg. Period: 127.40 min. The first Atlas/Agena D standard launch vehicle (SLV-3, 7100 Series) was successfully launched from Vandenberg AFB. This vehicle, Number 7101, was the first Atlas booster to be designed and produced to fully standardized specifications. .
1965 April 28 - . 20:17 GMT - . Launch Site: Vandenberg. Launch Complex: Vandenberg SLC4E. LV Family: Atlas. Launch Vehicle: Atlas SLV-3 Agena D.
OPS 6717 - . Payload: EHH B1. Mass: 60 kg (132 lb). Nation: USA. Agency: NRO, USAF. Class: Surveillance. Type: SIGINT. Spacecraft Bus: P 11. Spacecraft: SSF. Decay Date: 1969-10-31 . USAF Sat Cat: 1329 . COSPAR: 1965-031B. Apogee: 547 km (339 mi). Perigee: 506 km (314 mi). Inclination: 95.20 deg. Period: 95.10 min. Radar monitoring..
1965 June 25 - . 19:30 GMT - . Launch Site: Vandenberg. Launch Complex: Vandenberg SLC4E. LV Family: Atlas. Launch Vehicle: Atlas SLV-3 Agena D.
OPS 6749 - . Payload: EHH B2. Mass: 60 kg (132 lb). Nation: USA. Agency: NRO, USAF. Class: Surveillance. Type: SIGINT. Spacecraft Bus: P 11. Spacecraft: SSF. Decay Date: 1968-08-22 . USAF Sat Cat: 1422 . COSPAR: 1965-050A. Apogee: 510 km (310 mi). Perigee: 496 km (308 mi). Inclination: 107.60 deg. Period: 94.70 min. Radar monitoring..
1965 August 3 - . 19:12 GMT - . Launch Site: Vandenberg. Launch Complex: Vandenberg SLC4E. LV Family: Atlas. Launch Vehicle: Atlas SLV-3 Agena D.
OPS 6761 - . Payload: EHH B3. Mass: 60 kg (132 lb). Nation: USA. Agency: NRO, USAF. Class: Surveillance. Type: SIGINT. Spacecraft Bus: P 11. Spacecraft: SSF. Decay Date: 1968-06-17 . USAF Sat Cat: 1472 . COSPAR: 1965-062B. Apogee: 515 km (320 mi). Perigee: 501 km (311 mi). Inclination: 107.40 deg. Period: 94.80 min. Radar monitoring..
1965 November 8 - . 19:26 GMT - . Launch Site: Vandenberg. Launch Complex: Vandenberg SLC4E. LV Family: Atlas. Launch Vehicle: Atlas SLV-3 Agena D.
OPS 6232/Agena D - . Payload: Agena Pickaback / OPS 6232. Mass: 60 kg (132 lb). Nation: USA. Agency: USAF. Class: Surveillance. Type: SIGINT. Spacecraft Bus: P 11. Spacecraft: SSF. Decay Date: 1965-11-09 . USAF Sat Cat: 1728 . COSPAR: 1965-090B. Apogee: 284 km (176 mi). Perigee: 155 km (96 mi). Inclination: 93.90 deg. Period: 88.90 min. Not identified as a subsatellite ferret by McDowell..
1966 January 19 - . 20:10 GMT - . Launch Site: Vandenberg. Launch Complex: Vandenberg SLC4E. LV Family: Atlas. Launch Vehicle: Atlas SLV-3 Agena D.
OPS 3179/Agena D - . Payload: Agena Pickaback / OPS 3179. Mass: 60 kg (132 lb). Nation: USA. Agency: USAF. Class: Surveillance. Type: SIGINT. Spacecraft Bus: P 11. Spacecraft: SSF. Decay Date: 1966-01-23 . USAF Sat Cat: 1940 . COSPAR: 1966-002B. Apogee: 149 km (92 mi). Perigee: 120 km (70 mi). Inclination: 93.80 deg. Period: 87.20 min. Not identified as a subsatellite ferret by McDowell..
1966 March 18 - . 20:30 GMT - . Launch Site: Vandenberg. Launch Complex: Vandenberg SLC4E. LV Family: Atlas. Launch Vehicle: Atlas SLV-3 Agena D.
OPS 0974/Agena D - . Payload: NRL PL137 / OPS 0974. Mass: 2,000 kg (4,400 lb). Nation: USA. Agency: USAF. Class: Surveillance. Type: SIGINT. Spacecraft Bus: P 11. Spacecraft: SSF. Decay Date: 1966-03-23 . USAF Sat Cat: 2112 . COSPAR: 1966-022B. Apogee: 285 km (177 mi). Perigee: 149 km (92 mi). Inclination: 101.00 deg. Period: 88.80 min. Space craft engaged in investigation of spaceflight techniques and technology (US Cat A). .
1966 May 14 - . 18:30 GMT - . Launch Site: Vandenberg. Launch Complex: Vandenberg SLC4E. LV Family: Atlas. Launch Vehicle: Atlas SLV-3 Agena D.
OPS 6785 - . Payload: EHH B4. Mass: 60 kg (132 lb). Nation: USA. Agency: NRO, USAF. Class: Surveillance. Type: SIGINT. Spacecraft Bus: P 11. Spacecraft: SSF. Decay Date: 1970-10-27 . USAF Sat Cat: 2172 . COSPAR: 1966-039B. Apogee: 555 km (344 mi). Perigee: 519 km (322 mi). Inclination: 110.00 deg. Period: 95.40 min. Radar monitoring..
1966 June 3 - . 19:25 GMT - . Launch Site: Vandenberg. Launch Complex: Vandenberg SLC4E. LV Family: Atlas. Launch Vehicle: Atlas SLV-3 Agena D.
OPS 1856/Agena D - . Payload: [AAS 6] / OPS 1856. Mass: 60 kg (132 lb). Nation: USA. Agency: USAF. Class: Surveillance. Type: SIGINT. Spacecraft Bus: P 11. Spacecraft: SSF. Decay Date: 1966-06-09 . USAF Sat Cat: 2194 . COSPAR: 1966-048B. Apogee: 230 km (140 mi). Perigee: 148 km (91 mi). Inclination: 86.90 deg. Period: 88.20 min. Not identified as a subsatellite ferret by McDowell..
1966 August 16 - . 18:30 GMT - . Launch Site: Vandenberg. Launch Complex: Vandenberg SLC4E. LV Family: Atlas. Launch Vehicle: Atlas SLV-3 Agena D.
OPS 6810 - . Payload: SSF-B No. 5. Mass: 60 kg (132 lb). Nation: USA. Agency: NRO, USAF. Class: Surveillance. Type: SIGINT. Spacecraft Bus: P 11. Spacecraft: SSF. Decay Date: 1970-03-05 . USAF Sat Cat: 2397 . COSPAR: 1966-074B. Apogee: 522 km (324 mi). Perigee: 511 km (317 mi). Inclination: 93.20 deg. Period: 94.90 min. Radar monitoring..
1966 September 16 - . 17:59 GMT - . Launch Site: Vandenberg. Launch Complex: Vandenberg SLC4E. LV Family: Atlas. Launch Vehicle: Atlas SLV-3 Agena D.
OPS 6874 - . Payload: EHH B5. Mass: 60 kg (132 lb). Nation: USA. Agency: NRO, USAF. Class: Surveillance. Type: SIGINT. Spacecraft Bus: P 11. Spacecraft: SSF. Decay Date: 1968-05-09 . USAF Sat Cat: 2420 . COSPAR: 1966-083B. Apogee: 501 km (311 mi). Perigee: 461 km (286 mi). Inclination: 94.10 deg. Period: 94.20 min. Radar monitoring..
1966 October 12 - . 19:15 GMT - . Launch Site: Vandenberg. Launch Complex: Vandenberg SLC4E. LV Family: Atlas. Launch Vehicle: Atlas SLV-3 Agena D.
OPS 5345/Agena D - . Payload: SGLS 1 / OPS 5345. Mass: 60 kg (132 lb). Nation: USA. Agency: USAF. Class: Surveillance. Type: SIGINT. Spacecraft Bus: P 11. Spacecraft: SSF. Decay Date: 1966-10-21 . USAF Sat Cat: 2490 . COSPAR: 1966-090B. Apogee: 258 km (160 mi). Perigee: 181 km (112 mi). Inclination: 90.90 deg. Period: 89.00 min. Not identified as a subsatellite ferret by McDowell..
1966 November 2 - . 20:23 GMT - . Launch Site: Vandenberg. Launch Complex: Vandenberg SLC4E. LV Family: Atlas. Launch Vehicle: Atlas SLV-3 Agena D.
OPS 5424/Agena D - . Payload: Agena Pickaback / OPS 5424. Mass: 60 kg (132 lb). Nation: USA. Agency: USAF. Class: Surveillance. Type: SIGINT. Spacecraft Bus: P 11. Spacecraft: SSF. Decay Date: 1966-11-16 . USAF Sat Cat: 2525 . COSPAR: 1966-098B. Apogee: 324 km (201 mi). Perigee: 208 km (129 mi). Inclination: 91.00 deg. Period: 89.90 min. Not identified as a subsatellite ferret by McDowell..
1967 May 9 - . 21:50 GMT - . Launch Site: Vandenberg. Launch Complex: Vandenberg SLC1E. LV Family: Thor. Launch Vehicle: Thorad SLV-2G Agena D. FAILURE: Failure of the booster cut-off switch..
SRV 731 - . Payload: SRV 1041-1. Nation: USA. Agency: USAF. Class: Surveillance. Type: SIGINT. Spacecraft Bus: P 11. Spacecraft: SSF. Decay Date: 1993-03-14 . USAF Sat Cat: 2780 . COSPAR: 1967-043xx. Apogee: 145 km (90 mi). Perigee: 131 km (81 mi). Inclination: 84.90 deg. Period: 87.20 min. 1967 May 22 - . 18:30 GMT - . Launch Site: Vandenberg. Launch Complex: Vandenberg SLC4E. LV Family: Atlas. Launch Vehicle: Atlas SLV-3 Agena D.
OPS 5557/Agena D - . Payload: LOGACS / OPS 5557. Mass: 700 kg (1,540 lb). Nation: USA. Agency: USAF. Class: Surveillance. Type: SIGINT. Spacecraft Bus: P 11. Spacecraft: SSF. Decay Date: 1967-05-27 . USAF Sat Cat: 2816 . COSPAR: 1967-050B. Apogee: 240 km (140 mi). Perigee: 148 km (91 mi). Inclination: 91.50 deg. Period: 88.40 min. Not identified as a subsatellite ferret by McDowell..
SRV 725 - . Payload: SRV 1042-1. Nation: USA. Agency: USAF. Class: Surveillance. Type: SIGINT. Spacecraft Bus: P 11. Spacecraft: SSF. Decay Date: 1968-10-22 . USAF Sat Cat: 2851 . COSPAR: 1967-062xx. Apogee: 197 km (122 mi). Perigee: 182 km (113 mi). Inclination: 80.20 deg. Period: 88.30 min. SRV 733 - . Payload: SRV 1044-1. Nation: USA. Agency: USAF. Class: Surveillance. Type: SIGINT. Spacecraft Bus: P 11. Spacecraft: SSF. Decay Date: 1969-03-28 . USAF Sat Cat: 3025 . COSPAR: 1967-109xx. Apogee: 208 km (129 mi). Perigee: 179 km (111 mi). Inclination: 81.60 deg. Period: 88.40 min. SRV 741 - . Payload: SRV 1045-1. Nation: USA. Agency: USAF. Class: Surveillance. Type: SIGINT. Spacecraft Bus: P 11. Spacecraft: SSF. Decay Date: 1970-03-04 . USAF Sat Cat: 3114 . COSPAR: 1968-008xx. Apogee: 186 km (115 mi). Perigee: 185 km (114 mi). Inclination: 81.60 deg. Period: 88.20 min. SRV 747 - . Payload: SRV 1046-1 / OPS 7076. Nation: USA. Agency: USAF. Class: Surveillance. Type: SIGINT. Spacecraft Bus: P 11. Spacecraft: SSF. Decay Date: 1970-01-03 . USAF Sat Cat: 3153 . COSPAR: 1968-020xx. Apogee: 189 km (117 mi). Perigee: 189 km (117 mi). Inclination: 83.00 deg. Period: 88.30 min. SRV 745 - . Payload: SRV 1047-1. Nation: USA. Agency: USAF. Class: Surveillance. Type: SIGINT. Spacecraft Bus: P 11. Spacecraft: SSF. Decay Date: 1970-01-11 . USAF Sat Cat: 3297 . COSPAR: 1968-052xx. Apogee: 180 km (110 mi). Perigee: 180 km (110 mi). Inclination: 85.10 deg. Period: 88.10 min. SRV 749 - . Payload: SRV 1048-1. Nation: USA. Agency: USAF. Class: Surveillance. Type: SIGINT. Spacecraft Bus: P 11. Spacecraft: SSF. Decay Date: 1969-09-28 . USAF Sat Cat: 3409 . COSPAR: 1968-078xx. Apogee: 236 km (146 mi). Perigee: 211 km (131 mi). Inclination: 83.20 deg. Period: 89.00 min. 1969 September 30 - . 13:40 GMT - . Launch Site: Vandenberg. Launch Complex: Vandenberg SLC1W. LV Family: Thor. Launch Vehicle: Thorad SLV-2G Agena D.
OPS 1807 - . Payload: EHH B17. Mass: 60 kg (132 lb). Nation: USA. Agency: NRO, USAF. Class: Surveillance. Type: SIGINT. Spacecraft Bus: P 11. Spacecraft: SSF. Decay Date: 1970-10-30 . USAF Sat Cat: 4111 . COSPAR: 1969-082A. Apogee: 484 km (300 mi). Perigee: 446 km (277 mi). Inclination: 69.60 deg. Period: 93.90 min. OPS 7719 - . Payload: SSF-B No. 22. Mass: 60 kg (132 lb). Nation: USA. Agency: NRO, USAF. Class: Surveillance. Type: SIGINT. Spacecraft Bus: P 11. Spacecraft: SSF. Decay Date: 1979-04-17 . USAF Sat Cat: 5772 . COSPAR: 1972-002D. Apogee: 545 km (338 mi). Perigee: 474 km (294 mi). Inclination: 96.00 deg. Period: 94.80 min. Radar monitoring..
OPS 7803 - . Payload: SSF-B No. 23. Mass: 60 kg (132 lb). Nation: USA. Agency: NRO, USAF. Class: Surveillance. Type: SIGINT. Spacecraft Bus: P 11. Spacecraft: SSF. Decay Date: 1978-05-06 . USAF Sat Cat: 6096 . COSPAR: 1972-052C. Apogee: 504 km (313 mi). Perigee: 498 km (309 mi). Inclination: 96.20 deg. Period: 94.70 min. Radar monitoring..
OPS 8314/2 - . Payload: SSF-C No. 3 / OPS 8314. Mass: 60 kg (132 lb). Nation: USA. Agency: NRO, USAF. Class: Surveillance. Type: SIGINT. Spacecraft Bus: P 11. Spacecraft: SSF. USAF Sat Cat: 6822 . COSPAR: 1972-079C. Apogee: 1,464 km (909 mi). Perigee: 1,420 km (880 mi). Inclination: 95.60 deg. Period: 114.70 min. ABM monitoring..
OPS 7705 - . Payload: SSF-B No. 24. Mass: 60 kg (132 lb). Nation: USA. Agency: NRO, USAF. Class: Surveillance. Type: SIGINT. Spacecraft Bus: P 11. Spacecraft: SSF. Decay Date: 1978-12-26 . USAF Sat Cat: 6931 . COSPAR: 1973-088B. Apogee: 505 km (313 mi). Perigee: 488 km (303 mi). Inclination: 96.30 deg. Period: 94.50 min. Radar monitoring..
OPS 6630 P/L 2 - . Payload: SSF-C No. 4 / OPS 6630. Mass: 60 kg (132 lb). Nation: USA. Agency: NRO, USAF. Class: Surveillance. Type: SIGINT. Spacecraft Bus: P 11. Spacecraft: SSF. USAF Sat Cat: 6938 . COSPAR: 1973-088D. Apogee: 1,457 km (905 mi). Perigee: 1,414 km (878 mi). Inclination: 97.00 deg. Period: 114.60 min. OPS 4547 - . Payload: OPS 4547 / SSF-B No. 25. Mass: 60 kg (132 lb). Nation: USA. Agency: NRO, USAF. Class: Surveillance. Type: SIGINT. Spacecraft Bus: P 11. Spacecraft: SSF. Decay Date: 1980-02-22 . USAF Sat Cat: 7247 . COSPAR: 1974-020C. Apogee: 531 km (329 mi). Perigee: 503 km (312 mi). Inclination: 94.00 deg. Period: 95.00 min. Radar monitoring..
OPS 6239 - . Payload: SSF-B No. 26. Mass: 60 kg (132 lb). Nation: USA. Agency: NRO, USAF. Class: Surveillance. Type: SIGINT. Spacecraft Bus: P 11. Spacecraft: SSF. Decay Date: 1980-01-23 . USAF Sat Cat: 7498 . COSPAR: 1974-085B. Apogee: 531 km (329 mi). Perigee: 521 km (323 mi). Inclination: 96.00 deg. Period: 95.10 min. Radar monitoring; may or may not have existed!!!.. 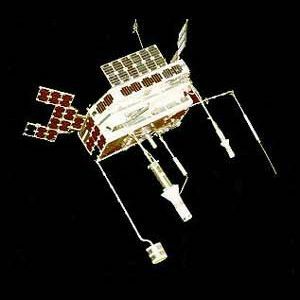 KH 9-11 Subsatellite - . Payload: SSF 9 / OPS 5547. Mass: 60 kg (132 lb). Nation: USA. Agency: USAF. Class: Surveillance. Type: SIGINT. Spacecraft Bus: P 11. Spacecraft: SSF. Decay Date: 1978-05-01 . USAF Sat Cat: 8468 . COSPAR: 1975-114B. Apogee: 1,558 km (968 mi). Perigee: 236 km (146 mi). Inclination: 96.30 deg. Period: 103.00 min. Not identified as a subsatellite ferret by McDowell..
OPS 5366 - . Payload: SSF-D No. 1. Mass: 60 kg (132 lb). Nation: USA. Agency: NRO, USAF. Class: Surveillance. Type: SIGINT. Spacecraft Bus: P 11. Spacecraft: SSF. USAF Sat Cat: 9008 . COSPAR: 1976-065C. Apogee: 632 km (392 mi). Perigee: 628 km (390 mi). Inclination: 96.40 deg. Period: 97.30 min. Radar monitoring..
OPS 7858 - . Payload: SSF-D No. 2. Mass: 60 kg (132 lb). Nation: USA. Agency: NRO, USAF. Class: Surveillance. Type: SIGINT. Spacecraft Bus: P 11. Spacecraft: SSF. USAF Sat Cat: 10734 . COSPAR: 1978-029B. Apogee: 645 km (400 mi). Perigee: 639 km (397 mi). Inclination: 95.80 deg. Period: 97.60 min. Radar monitoring..
OPS 6675 - . Payload: SSF-D No. 3. Mass: 60 kg (132 lb). Nation: USA. Agency: NRO, USAF. Class: Surveillance. Type: SIGINT. Spacecraft Bus: P 11. Spacecraft: SSF. USAF Sat Cat: 11306 . COSPAR: 1979-025B. Apogee: 628 km (390 mi). Perigee: 621 km (385 mi). Inclination: 95.80 deg. Period: 97.20 min. OPS 3899 - . Payload: SSF-C No. 7. Mass: 60 kg (132 lb). Nation: USA. Agency: NRO, USAF. Class: Surveillance. Type: SIGINT. Spacecraft Bus: P 11. Spacecraft: SSF. USAF Sat Cat: 14139 . COSPAR: 1983-060C. Apogee: 1,296 km (805 mi). Perigee: 1,278 km (794 mi). Inclination: 96.60 deg. Period: 111.31 min. ABM monitoring; may or may not have existed!!!. . USA 3 - . Payload: SSF-D No. 5. Mass: 60 kg (132 lb). Nation: USA. Agency: NRO, USAF. Class: Surveillance. Type: SIGINT. Spacecraft Bus: P 11. Spacecraft: SSF. USAF Sat Cat: 15071 . COSPAR: 1984-065C. Apogee: 710 km (440 mi). Perigee: 690 km (420 mi). Inclination: 96.10 deg. Period: 98.80 min. Radar monitoring..
1986 April 18 - . 17:45 GMT - . Launch Site: Vandenberg. Launch Complex: Vandenberg SLC4E. LV Family: Titan. Launch Vehicle: Titan 34D. FAILURE: Failure. SSF-D No. 6 - . Payload: SSF-D No. 6. Mass: 60 kg (132 lb). Nation: USA. Agency: USAF. Class: Surveillance. Type: SIGINT. Spacecraft Bus: P 11. Spacecraft: SSF. Decay Date: 1986-04-18 . 1989 August 8 - . 12:37 GMT - . Launch Site: Cape Canaveral. Launch Complex: Cape Canaveral LC39B. Launch Platform: MLP2. LV Family: Shuttle. Launch Vehicle: Space Shuttle. USA 41 - . Nation: USA. Agency: DARPA. Class: Surveillance. Type: SIGINT. Spacecraft Bus: P 11. Spacecraft: SSF. Decay Date: 1989-12-31 . USAF Sat Cat: 20172 . COSPAR: 1989-061C. Apogee: 307 km (190 mi). Perigee: 296 km (183 mi). Inclination: 57.00 deg. Period: 90.50 min. Deployed from STS-28 8/8/89. Believed to be one-off ferret satellite under COBRA BRASS measurement and signature intelligence experiment..